State-of-the-art technology is used today worldwide in all climate zones. This often results in a wide variety of variants for the manufacturers, since the specific on-site conditions often require major changes to components. That increases the effort both from a design standpoint as well as logistically, and with these the production and operating costs. For the active cooling of electronic components there is now a genuine “world fan”. It withstands the most extreme temperatures and weather conditions, which can occur in outdoor use worldwide. By doing so, it covers all possible applications and thereby increases the value creation for system manufacturers and users The earth’s climate zones serve up temperatures ranging from far below -30 °C at the poles to an average of over +33 °C at the equator. Then in addition to this are the local extremes, such as desert areas with even higher daytime temperatures at lowest humidity or the tropics with high temperatures and air 100 % saturated with water vapour. The manufacturer can enclose systems that rely on active heat dissipation by means of cooling air, if necessary. But the actually active part, the fan, always has to work “in the open” to move ambient air to the intended cooling surfaces. This is where the fan expert ebm-papst from St. Georgen comes in. The specialists from Germany’s Black Forest region developed a fan which reliably performs its duty under all climatic conditions and therefore is ideally suited for cooling systems in worldwide use. In the economy and politics in general, globalisation is the foremost modern buzzword. Technicians have been acquainted much longer with “globalisation” and above all its specific requirements for devices to function reliably all over the world. From time immemorial, therefore, the “technical” equipment for polar regions has been different than for caravans in the desert. In modern times, the problem has been solved for many years by specific adaptations of the products depending on the target region. This approach, however, is less than optimal for two reasons. For one, the logistics equipment, stock-keeping and maintenance expertise usually to be kept ready for a wide variety of special components. For another, once defined, a component selection severely limits the ability to react to market changes, in other words, a new target region. Even if systems are used at other locations, for example in the case of a resale or move, such as relocating production to other regions, costly compromises may have to be made. For this reason, components which can be used universally and ensure flexible manufacturing for a minimum cost outlay lend themselves as a solution today. This innovation is particularly advantageous in the case of fans for waste heat management. A fan which is used, for example, in telecommunication modules, has to work reliably under difficult conditions worldwide. Solutions for individual cases are possible, but, for reasons that are easy to see, not economical. 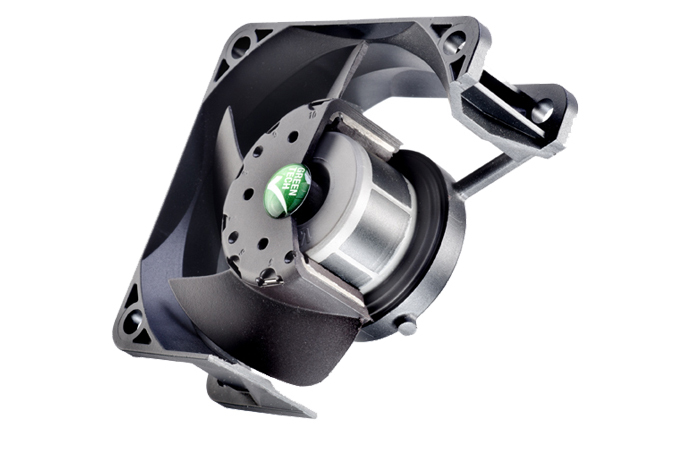 With dimensions measuring 60 x 60 x 25 mm, ebm-papst’s 630 axial fan series has been designed so that even extreme environmental demands do not impair function. Thus construction of the electronically commutated external rotor fan is based on a stator pack that is completely coated in plastic. The integrated operating electronics are completely encased and the cable connection is specially sealed. That means the fan satisfies the strict requirements of protection rating IP68 (immersion beyond 1 m) and IP65 (powerful water jets). The potting has the additional advantage of very high corrosion resistance for the components protected by this. Thus a salt spray test with fan running for 30 days is easily passed. The motor’s high efficiency in conjunction with low lost heat, thus minimum intrinsic heating, prevents salt crystals from depositing in the air gap and extends the service life of all electronics and bearing components. 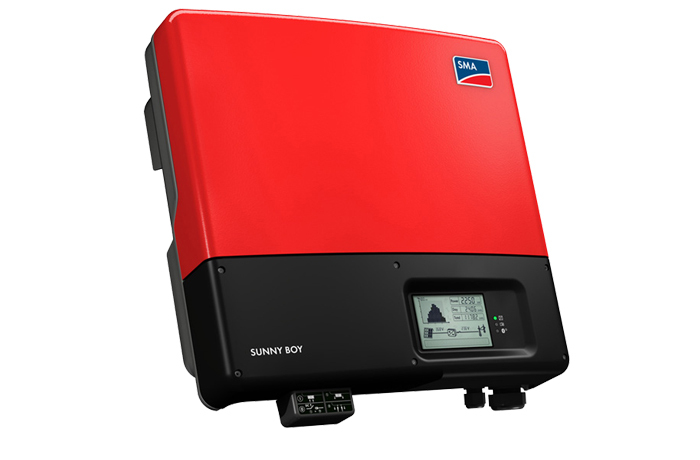 Thus the fans do not heat up additionally and the thrifty power consumption makes them ideally suited for use in systems which can be supplied only by battery or solar panel. As the IP68 type of protection already indicates, the fans are fully tropicalised; long-term tests with a relative humidity of over 85 % at 85 °C confirm this impressively. The application area of the robust air mover is proven in the temperature change test from -40 °C to +85 °C. The number of cycles here corresponds to a service life of approximately 20 years with the corresponding fluctuations for day/night and season. 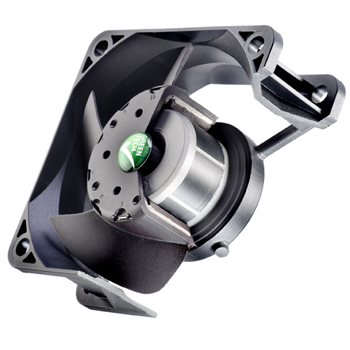 The electronics correspond to the highest EMC compatibility requirements and, like the robust bearing, are immune to vibrations. 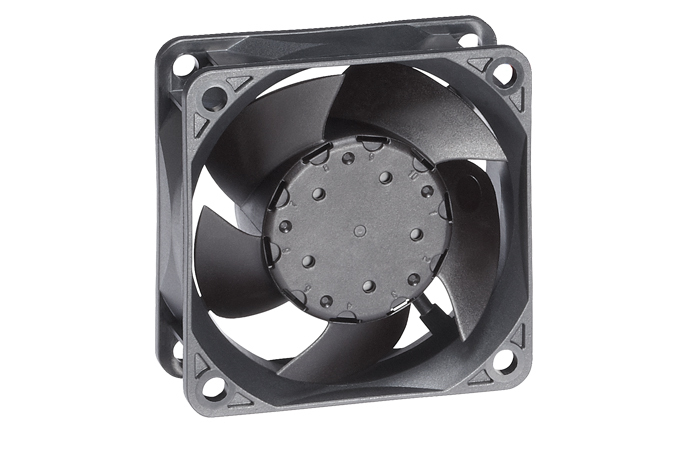 The small energy-saving fans are therefore suited for all difficult operating conditions. 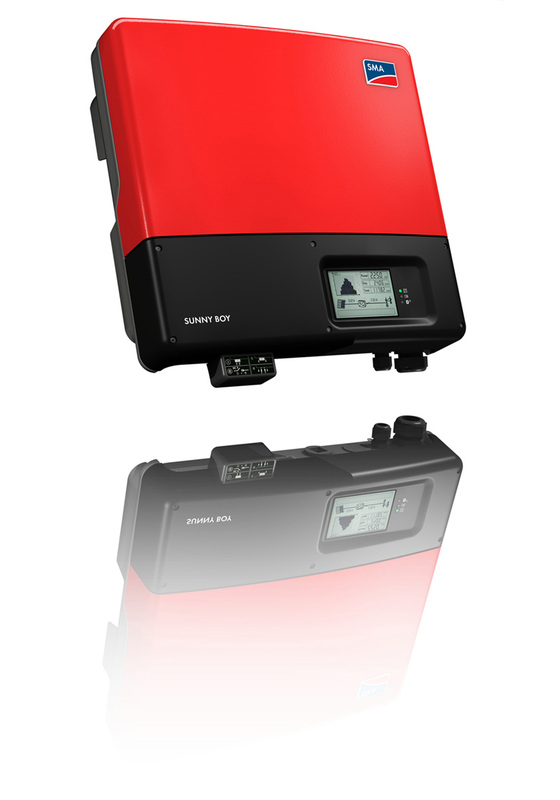 High and low temperatures, such as occur in solar inverters or telecommunication modules on roofs and poles, pose no problems for them. Salty sea air or the finest desert dust impair the function just as little. In an industrial environment, where the “climate changes” from production conditions can turn out to be even more dramatic than in nature, the fans likewise stand their ground. That makes them suitable also for switch cabinet ventilation, residual heat dissipation in power inverters, robots, welding inverters and other equipment operating in a harsh environment. In the case of large installations, which often require a wide variety of fans for very different purposes, the increased reliability is important even after failures with excessive temperature or dust accumulation or the like. 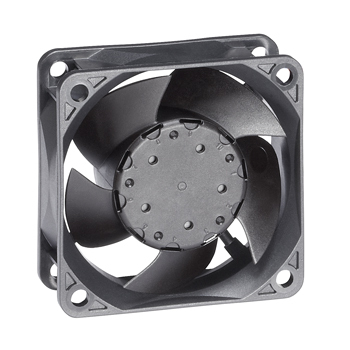 Accordingly, small, robust fans which are also able to withstand the adverse conditions of outdoor use are suitable for a wide variety of applications. Thus they are suitable for worldwide use in all climate zones as well as operation under difficult ambient conditions in industry. Compared to specifically sought-out fan solutions, the use of universal fans significantly reduces production costs and substantially improves the benefit for the user. This is an advantage not to be underestimated in today’s globalised world.